HARD Age GRAY GRANT Uterine Clamp 1 x 2 teeth 22cm/8�"
GRAY GRANT Uterine Clamp 1 x 2 teeth 22cm/8�"
HARD Age GRAY GRANT Uterine Clamp 22cm/8�"
GRAY GRANT Uterine Clamp 22cm/8�"
HARD Age WERTHEIM ATRAUMA Uterine Clamp 21.5cm/8�"
WERTHEIM CULLEN Uterine Clamp 21.5cm/8�"
PHANEUF Curved Uterine Clamp 20.5cm/8"
PHANEUF Straight Uterine Clamp 20.5cm/8"
HARD Age GUYON Atrauma Uterine Clamp 24cm/9�"
HARD Age Z-PARAMETRIUM Atrauma Uterine Clamp Deep Curved 35cm/13�"
HARD Age Z-PARAMETRIUM Atrauma Uterine Clamp Curved 30cm/12"
HARD Age Z-PARAMETRIUM Atrauma Uterine Clamp slightiy Curved 24cm/9�"
HARD Age NOTCHED HYSTERECTOMY Atrauma Clamp Curved 23cm/9"
HARD Age NOTCHED HYSTERECTOMY Atrauma Clamp Curved 20cm/8"
HARD Age NOTCHED HYSTERECTOMY Atrauma Clamp Straight 23cm/9"
HARD Age NOTCHED HYSTERECTOMY Atrauma Clamp Straight 20cm/8"
HARD Age HARD Age HEANEY MOD. DOUBLE TEETH Uterine Clamp Curved 21cm/8�"
HEANEY MOD. DOUBLE TEETH Uterine Clamp Curved 21cm/8�"
HARD Age HEANEY MOD. DOUBLE TEETH Uterine Clamp Straight 21cm/8�"
HEANEY MOD. DOUBLE TEETH Uterine Clamp Straight 21cm/8�"
HARD Age HEANEY MOD. SINGLE TOOTH Uterine Clamp Curved 21cm/8�"
HEANEY MOD. SINGLE TOOTH Uterine Clamp Curved 21cm/8�"
HARD Age HEANEY MOD. 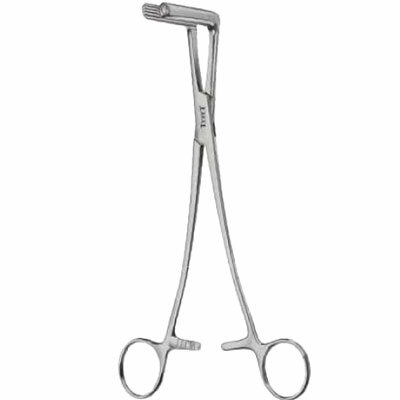 SINGLE TOOTH Uterine Clamp Straight 21cm/8�"
HEANEY MOD. SINGLE TOOTH Uterine Clamp Straight 21cm/8�"
HARD Age HEANEY BALLANTINE Uterine Clamp Curved 21cm/8�"
HEANEY BALLANTINE Uterine Clamp Curved 21cm/8�"
HARD Age HEANEY BALLANTINE Uterine Clamp Straight 21cm/8�"
HEANEY BALLANTINE Uterine Clamp Straight 21cm/8�"